Torrential rains triggered flash floods in Indonesia and landslides on the Indonesian island of Sumatra, killing at least 22 people, mostly children at a school, and leaving 15 others missing, officials said on Saturday. Nugroho said two bodies were found early Saturday from a car washed away by floods in Mandailing Natal, where 17 houses collapsed and five were swept away. Hundreds of other homes were flooded up to 2 metres high, while landslides occurred in eight areas of the region. Four villagers were killed after landslides hit 29 houses and flooded about 100 buildings in neighboring Sibolga district, Nugroho said. 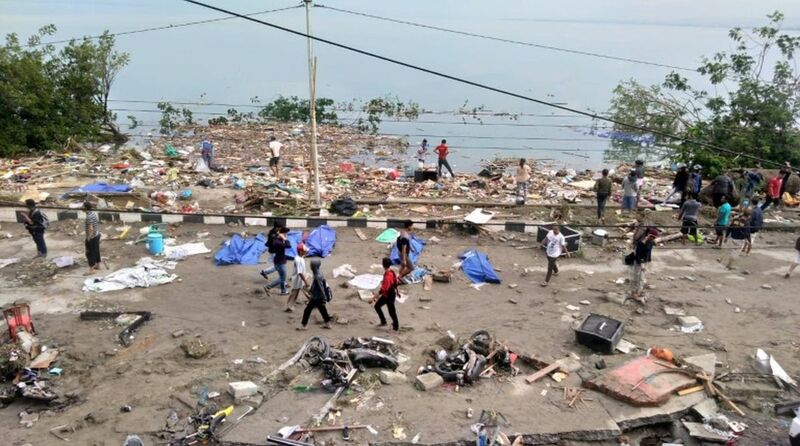 He said flash floods also smashed several villages in West Sumatra province’s Tanah Datar district, killing four people, including two children, and leaving three missing. Both North and West Sumatra provinces declared a weeklong emergency relief period as hundreds of terrified survivors fled their hillside homes to the safer ground, fearing more of the mountainside would collapse under continuing rain, Nugroho said, adding that dozens of injured people were rushed to nearby hospitals and clinics.